During normal (basic) use of this web site we do not gather any information from you or your computer that could be considered in any way private. We do not require you to submit any personal information to use the basic features of this site. You may stay completely anonymous. If you would like to use some of the more advanced features of our site or purchase merchandise from us, we will ask for you to submit all required information. We receive and store certain types of information whenever you interact with us. For example, like many web sites, we use “cookies”, and we obtain certain types of information when your web browser accesses this web site. All personal information collected from you is used only for fulfilling your order. The information is not used for any other purpose. We will not sell, trade, or give your personal information to any third party. We will only disclose any personal information when required by law (i.e. court order or subpoena). We protect your information during transmission by using SSL (Secure Sockets Layer) technology, which encrypts information you input. The SSL technology works by sending all of your personal information, including credit card, password, name and address to us in an encrypted code. We reveal only the last five digits of your credit card numbers when confirming an order. 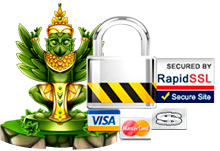 Of course, we transmit the entire credit card number to the appropriate credit card company during order processing. It is important for you to protect against unauthorized access to your password and to your computer. Be sure to sign off when finished using a shared computer. This web site allows you to review all the information we keep about you. You can always choose not to provide personal information, even though it will be needed to make a purchase. You can add or update your information on personal pages. If you do not want to receive special offer e-mail from us, please adjust your customer preferences. If you do not want to receive legal notices from us, those notices will still govern your use of this web site and it is your responsibility to review them for changes.